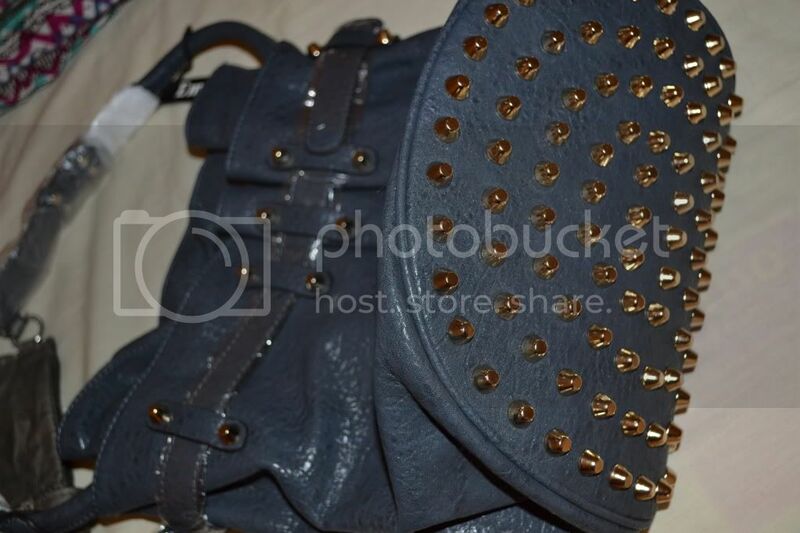 IF YOU LOOK AT MY ONLINE STORE YOU WILL SEE I HAVE SOLD OUT OF THE BLUE BUCKET STUDDED BAG. I HOWEVER RECEIVED SEVERAL INQUIRIES VIA EMAIL ABOUT SELLING MORE OF THEM . I BUY MYSELF A BAG OF EACH ONE I POST ON THE ONLINE STORE. SO I DECIDED TO GIVEAWAY MINES TO ONE OF MY FAB FOLLOWERS. I WANT TO GIVE EVERYONE A FAIR CHANCE AT GETTING THIS BAG. THIS IS BAG IS NEW STILL IN THE PACKAGE AND NEVER WORN. I really hope you sonsider giving it to me, I follow you on tumblr & you have been such a great inspiration to me. 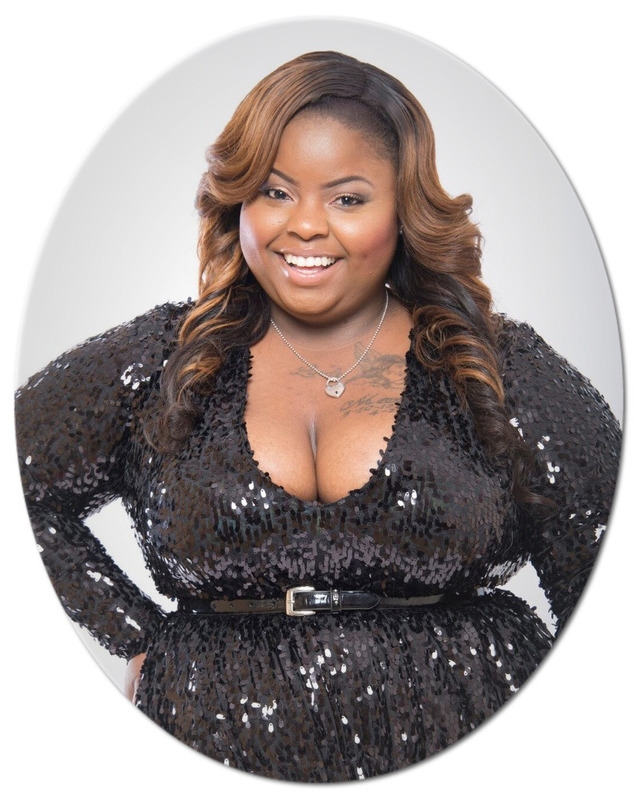 I'm a plus size girl & I always look on your page for inspiration, you've definitely inspired me to love me more. & btw you are soo Beautiful, please consider me. The deadline is my birthday too, I'm turning 19! This would be the perfect Birthday present! I faithfully tune into your blog every other day for new updates. I'm subscribed to your YT channel, Facebook and of course your blog! pick me fellow faahionista!! tharjyep@yahoo.com an if i win you dont have to worry about shipping i can meet you at your nearest goodwill to pick up wink! Now I'm going to die because I love this bag more than pie! Hey Linda, as an avid reader of your blog I have to tell you that your style is oh so fab & you've given me so much info of how I can shop for my curves. MK & Betsey J are my all time fav clothing & jewelry designers & thanks to you you've showed gorgeous ways of how I can incorporate some of their items into my waredrobe. I hope I win this bag because not only is it the perfect color, I have the perfect pair of denims to wear it with! My email is Cheriemoore218@yahoo.com also I'm following on FB. m_dangaa@yahoo.com ! pick me ; LBVS ! This is La-Quanda. My email is laquandatylr@yahoo.com. Thank you for sharing the giveaway with us! Hey ladies the winner is bespoke biddie! She hs 24hrs to claim her prize or I will pick another lovely lady.